If you have been a gardener for some time now, you may or may not have jumped on the super grow fertilizers that have been marketed over the years. There is no denying that these types of fertilizers can really help the plants, flowers, fruits and vegetables in your garden grow, but how necessary are they to make your garden grow? Believe it or not, these growth promoting fertilizers are laden with chemicals, and often far too many minerals than your garden actually needs. All that happens to this excess is that it gets moved on by rain water, and will eventually find itself in a river or stream, and then make its way back into the water supply. It is now becoming apparent that these excess chemicals and minerals can severely pollute water supplies. There has always been an alternative to these chemical fertilizers, and now more than even is the right time to switch if you haven’t already. You have plenty of organic and natural fertilizers to choose from, which can often be much less expensive than their artificially enhanced counterparts. 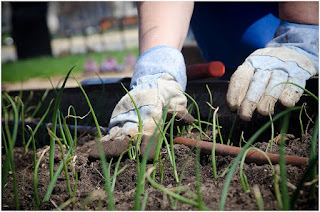 Organic gardening is not just about planting organic seeds, so read on to find out which natural fertilizer is best for you. Alfalfa meal is a great place to start when switching from non-organic to organic fertilizer. Alfalfa is a plant from the pea family and grown all around the world to feed cattle. 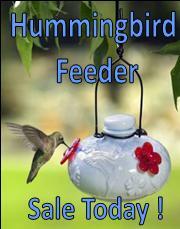 It contains enough nutrients to ensure your garden grows naturally and in a healthy manner. Its main benefits are that it contains a good level of nitrogen, combined with lesser amounts of phosphorous and potassium, all naturally occurring. Once you add alfalfa meal to standard soil, it will begin to improve the soil’s quality very quickly, and continue to do so if you keep adding. Alfalfa meal actually continues the cycle of producing increased amounts of nutrients in the soil, so that next year your soil is of an even higher quality. If you use nothing else, alfalfa meal will go a long way to making you garden organic. Kelp comes from the sea if you didn’t know already, and the sea is naturally rich with nutrients and minerals. This seaweed can be highly effective organic fertilizer. It contains over sixty different vitamins, minerals, and amino acids. Once it has been dried out and ground into meal, it is perfect for spreading on your soil. Adding kelp meal to your soil will ensure a slow and steady release of nutrients into your garden, which will do wonders for whatever plants you are growing. The best thing about it is that you don’t have to buy it if you’re near the sea. Wait for the tide to go out at your nearest beach and go harvest it yourself and it won’t cost you a penny. Bat Guano is essentially just bat droppings. This type of natural fertilizer is excellent for fertilizing your soil. In fact, long before chemically enhanced fertilizers were available this was used by farmers and gardeners, and widely recognized as one of the best ways to fertilize soil. Bat Guano is a completely natural and organic option, but perhaps not the easiest or most pleasant to collect yourself. You should be able to find Bat Guano at your local garden centers. Just make sure that the company packaging the fertilizer is of a good reputation, and that they follow the standards set by Bat Conservation International. Another type of fertilizer that often gets overlooked is horticultural cornmeal. It is excellent at promoting the growth of good soil fungi that will protect your plants and veggies from the harmful types of fungi that can damage your crops. It works well for all types of plants, vegetables, flowers, and fruits, and will help slowly strengthen the soil in your garden. If you are having a problem with fungal diseases in your garden, this is the one to use. Do make sure it is a non-GMO product before you purchase! Ok, so you may be a little apprehensive about spreading chicken poop all over your garden, but it works and is particularly effective. 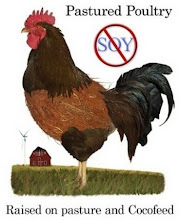 One thing to quickly point out though; make sure the chickens that produce the manure are free-range organic chickens so that their manure contains a large amount of nutrients. Also, don’t use it raw. Make sure you properly compost it first. Chicken poop contains lots of magnesium and calcium, along with an abundance of natural nitrogen, phosphorus, and potassium. If you are lucky, you may even be able to get it for free. Just ask a local farmer if you can scoop up the chicken muck, or if you have chickens of your own use theirs. Natalie Rigby is a London-based freelance writer with a passion for organic living. From her kid’s beds decked out with organic mattresses to her vegetable garden, she embraces organic products in all aspects of her home. She did allow herself one break from being good when she took a couple of beautiful Mediterranean cruises last summer. 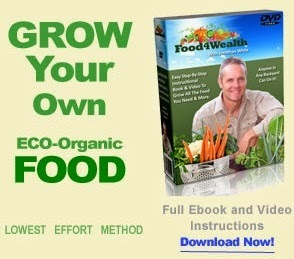 I am now also in the proccess of switching to organic gardening, but i dont have much idea on how to work with it. I actually host a weekly gardening link up every Friday on my blog. I'd love for you to drop by and join in. Thank you for the invite to your link up Tiffany. We'll check it out!